All teeth, all the time. Sometimes that’s what it feels like in my house. Everything revolves around teeth.Â But I did want to update you all on Tyler. 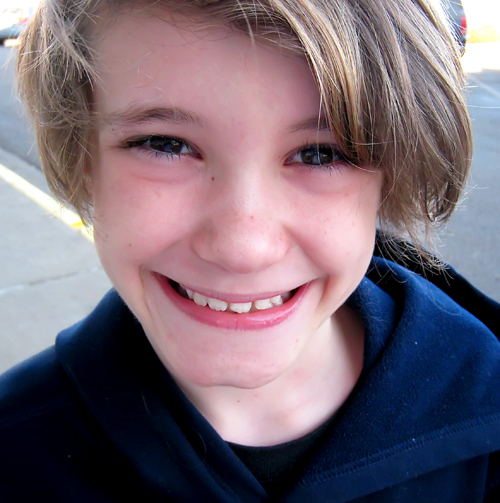 and my young man after his appointment… SO happy! 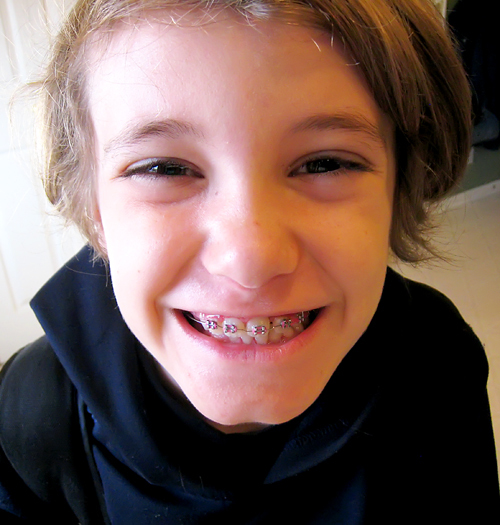 He is not as happy about his retainer, but we just keep reminding him of the alternative and he stops complaining. It’s weird to see him open his mouth now. It’s almost like he’s not the same kid. I’m going to hang out with a few of my favorite people tomorrow night. Hopefully I’ll have a bunch of crafty goodness to post for you on Sunday. Have a great weekend everyone!! Awesome! I know he’s happy to have them off. With or without braces, a good looking guy! It’s all about teeth at my house too! Madison lost her 5th tooth this morning to the horror of her mother! She pulled the first 4 herself and this one fell out with cereal this morning. Ewwww! Tell Tyler I am so happy to see his wonderful new smile.